The most neglected aspect of any infrastructure or cloud project is the “What if it all goes wrong?” scenario. This is the part that forces us to recognise that IT is vital to the everyday running of our business but is still somehow fallible – that not every risk can be mitigated and what happens if it does all go wrong? It’s rare to find a board of directors or a business owner happy to sign off budget for a project that will affect how the organisation will grow in the next five years, which also understands that a significant percentage of the allocation should be assigned to unforeseen problems. These can be issues with access (bandwidth access to cloud, SaaS), issues with power (cuts or spikes), mechanical issues with disks and SAN/servers or viruses on the network. As everything is new, people traditionally assume that nothing will affect it. If that was the case we wouldn’t need insurance, spares, contingency, tapes or disaster recovery (DR). However, the fact is things happen and the trick is to reach a balance between the cost of downtime and the cost of contingency. When I ask people to tell me how much downtime their organisation could sustain if there was a fire (Which IT services would need to be available to users? How quickly would they need to be available? ), the instinctive answer is usually “Everyone needs everything in less than one hour”. I tend to reply with “Great, that’ll be £1 million a year please”, which usually gets everyone’sattention. There is a cost to having data replicated across sites; having virtual servers and networks on warm standby in another data centre; having a defined list of services; having users and processes ready in case something forces an invocation. The question is whether or not it is worth paying for and what are the options? People often use the terms ‘backup’ and ‘disaster recovery’ interchangeably as if they’re the same thing, when in fact they are very different. 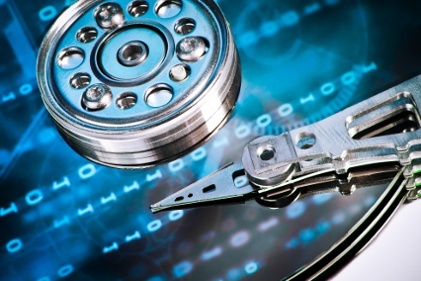 To many organisations, a backup is still a copy of the company data, usually on tape or removable disk, located in the same office as all the primary data. Occasionally it is sent offsite, rarely monitored or checked, requiring manual removal (left in the car/rucksack of the person taking it) and usually left up to IT to manage. Unsurprisingly, this isn’t always the best way to ensure your company can ride out an issue without risking significant data loss and/or downtime. Disaster recovery is usually part of a much wider Business Continuity Plan (BCP) that can also incorporate where users will work from if they are unable to access the primary site, how to contact customers, divert telephone numbers and allow remote staff access to back up systems etc. Disaster recovery planning means raising the responsibility from purely IT to Board level, making business owners assess what is important to them. Who needs access to what (worse case) and what the potential losses (income, lost productivity, client confidence, data, future work and more) might be if something happened? Offsite replication of virtual workloads thankfully means an end to the old days of clustered physical servers, replicated platforms (for all but the most stringent organisation) and disproportionately expensive replicated systems.Now it is possible to simply replicate all of your key services to the cloud and activate just those that are immediately required for a small subset of key users until you assess the impact and duration of a local failure. The driver for localised tape and disk backups has always been cost and the lack of a practical alternative. With Veeam, better bandwidth and cloud infrastructure, there really is no reason to accept just local backup when a good disaster recovery solution can offer faster invocation, more comprehensive recovery and the ability to work from the cloud indefinitely. This ethos works well alongside cloud platforms such as Exchange Online, Office 365 and SaaS applications. Backup and disaster recovery are not the same thing, you need both! However, you can probably justify more mitigation than you think.